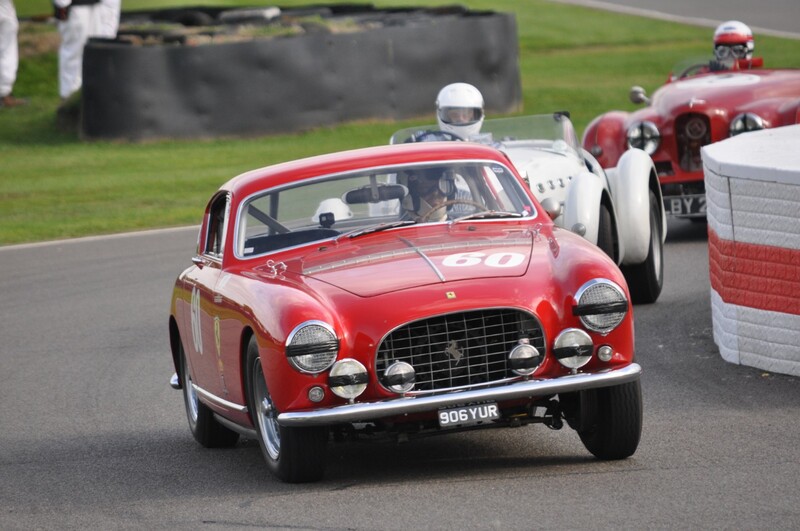 The 20th Anniversary Goodwood Revival Meeting was held over the weekend of 07 – 09 September, attracting the regular massive crowds to the picturesque Sussex circuit for the annual step back in time. Whereas the 2017 running had been blighted with terrible wet weather, the sun shone virtually continuously on the anniversary event, with very pleasant ambient temperatures. The occasional grey cloud drifted through, fortunately with no precipitation, although rain did fall quite heavily only a few miles away on the Friday. It never ceases to amaze that people of all ages go to great lengths to “dress for the occasion”, and surprisingly this has seemed to increase year on year, rather than wane with familiarity and the passage of time. 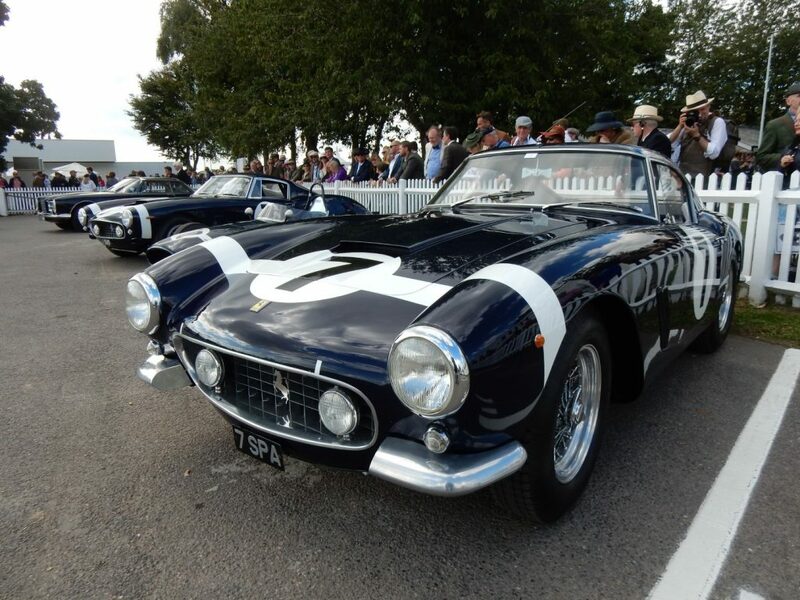 It is said that “familiarity breeds contempt”, but the opposite is the case with the Goodwood Revival Meeting. With a 15 race programme, plus the practice/qualifying sessions, together with the track parades and demonstration runs, there is almost continuous activity from Friday morning through to Sunday evening. 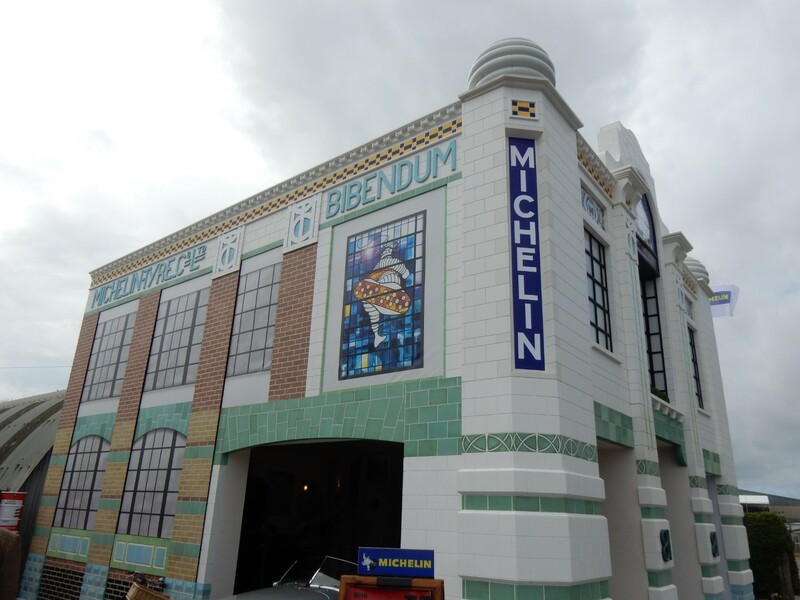 Then there the multitude of peripheral attractions, both within the track boundaries and “Across the Road”, which features a further plethora of trade stands, food and beverage outlets, the funfair, Butlins roller skating rink, Bonhams Auction and classic car parking area. 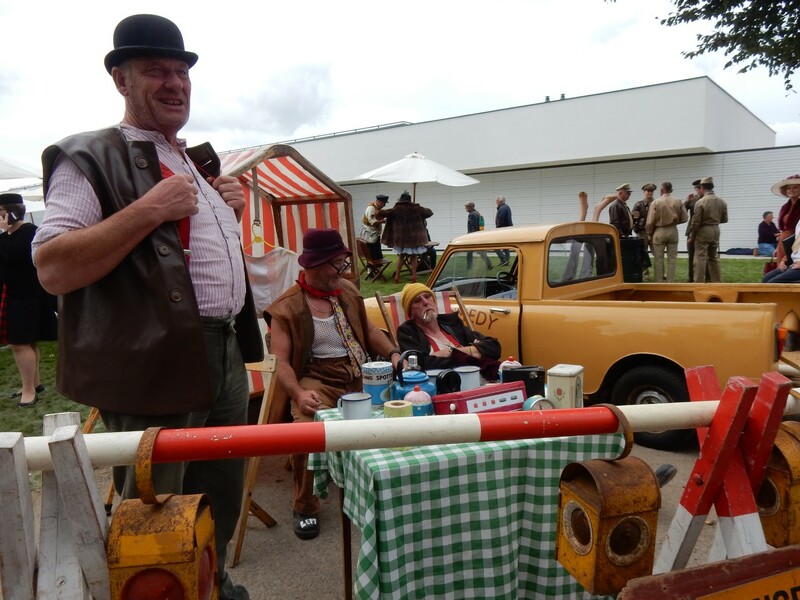 One of the endearing features of the event are all the “theatre acts” that portray a real image of bygone days, whether it be the road works gang, the “Glam Cabs” girls, the hockey stick wielding “St Trinian’s schoolgirls”, the military camps, the “Mods & Rockers” and even a Tazio Nuvolari lookalike. This year they excelled with an operating steam locomotive and tender on a section of track just inside the main entrance. The transport logistics for this 89 ton leviathan must have been a nightmare! This was belching steam, which with the railway guard, a porter with a trolley laden with cases, a bored gentleman reading his newspaper waiting for his train, and a “little lady lost”, provided a wonderful nostalgic trip down memory lane, definitely one of the off-track highlights. 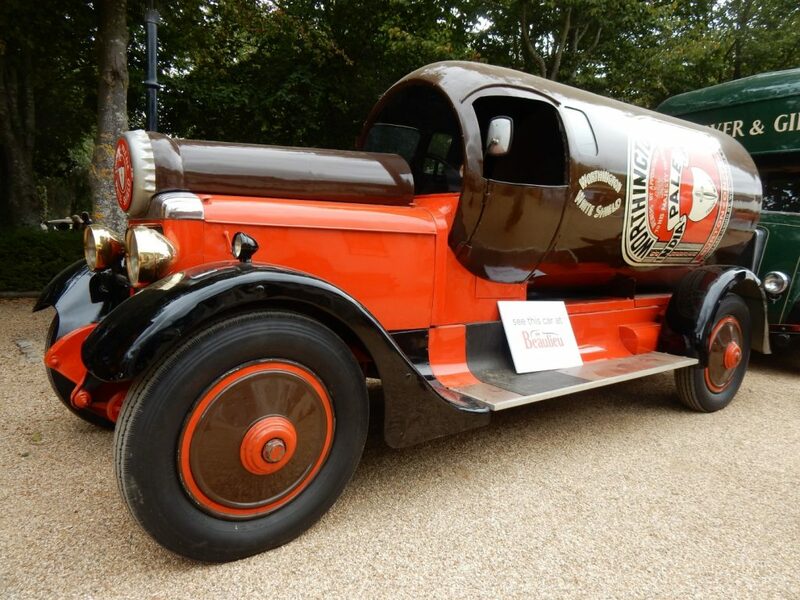 Another was the driver’s club setting, which like the sculpture in front of Goodwood House for the Festival of Speed is always eagerly anticipated as to what form it will take. This year it was a farmyard scene, with antique farm machinery, a hay barn and even some sheep, presumably drafted in from nearby pastures, grazing. 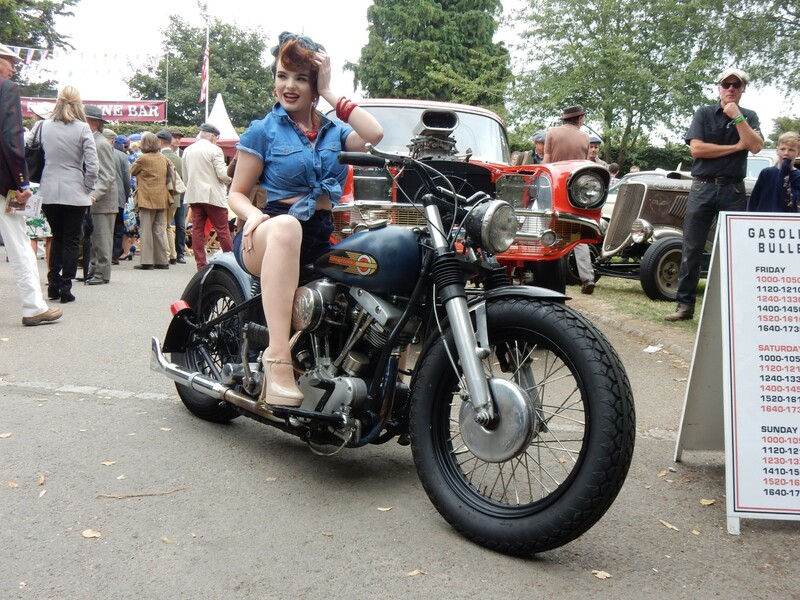 Apart from the races the track activity included a celebration of British Transport Parade, with an eclectic mix of vehicles that graced the roads of the country during the fifties and sixties, which opened proceedings each morning. As a celebration of the events 20th Anniversary, there was a parade of cars and motorcycles that had won races at the meetings through that period. 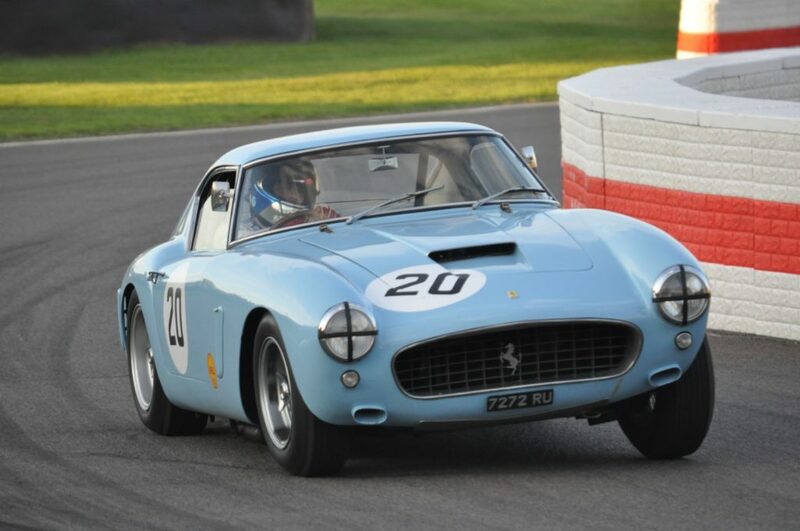 There was also a celebration of the great gentleman driver turned entrant, Rob Walker, whose name is synonymous with that of Sir Stirling Moss, who won the 1960 and 1961 TTs at Goodwood in Ferrari 250 GT SWB Berlinettas entered by him, both of which were in attendance to take part in the parade. As an aside, apart from these two RHD 250 GT SWB Berlinettas, there were a further three UK imported RHD examples at the event, making a total of five out of the nine RHD examples imported by Maranello Concessionaires in the early sixties. 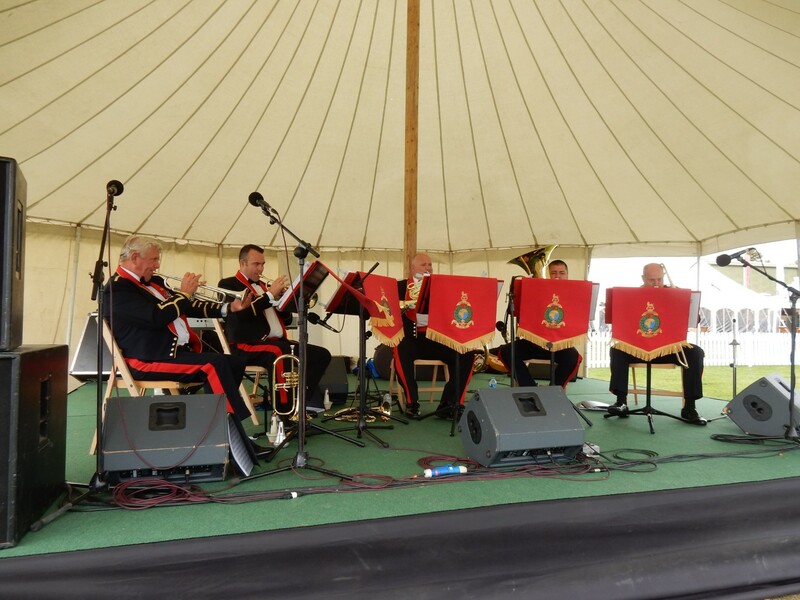 The event also celebrated the centenary of the Royal Air Force, which was very apt, as the airfield around which the circuit runs was a WW II fighter base, and the Freddie March Spirit of Aviation display was RAF-themed for this anniversary. As usual the racing was fast and furious in virtually every category, none more so than in the opening race of the weekend, the Kinrara Trophy on Friday evening, that ran from daylight into dusk. 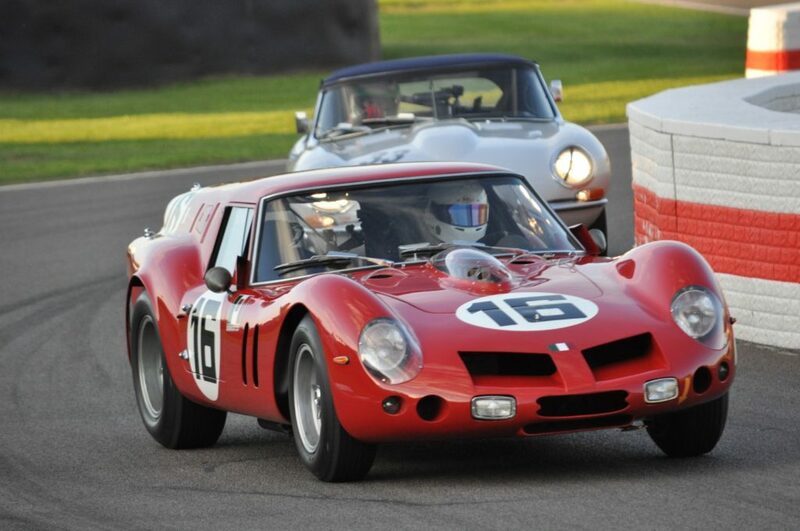 The hour long race featured a tremendous duel that swung like a pendulum throughout, between the Minshaw/Keen driven Jaguar E-Type and the Halusa/Pirro driven Ferrari 250 GT SWB “Breadvan”, with the latter eventually pulling out a slight breathing space in the closing stages to take the win. 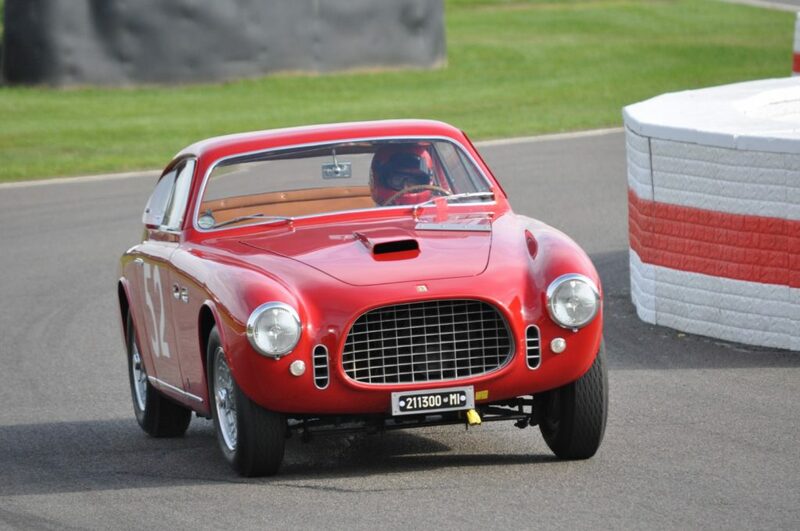 The first race on Saturday morning, the Fordwater Trophy, fittingly saw works Aston Martin driver Darren Turner, take victory in an Aston Martin DB2. The two part St Mary’s Trophy saloon car races always keep the crowds enthralled, with a wide variety of shapes and sizes of cars taking part, from miniscule Mini Coopers to corpulent Ford Galaxies, usually using all the track and then some, with some interesting cornering angles and techniques thrown in for good measure! There were all the usual antics, and a number of retirements either through mechanical problems or untoward excursions, and at the end of the day the aggregate result was that Lotus Cortinas filled the podium with Steve Soper and Andy Priaulx on the top step. 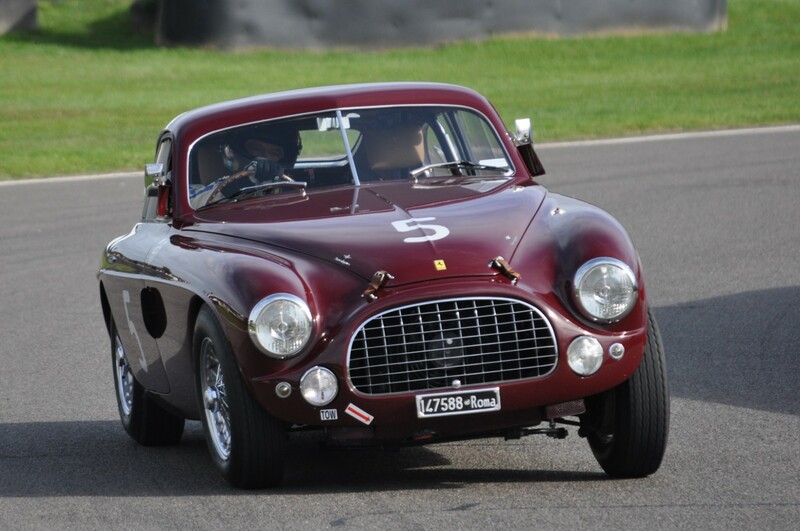 There was a bonus of a third saloon car race this year, the Jack Sears Memorial Trophy, for cars of the type that raced in the 1958 British Saloon Car Championship. That was the year that the championship was inaugurated, and our late Club President, Jack Sears, was the first winner of the championship in that season. This race featured a dice the equal of that in the Kinrara trophy between the Jaguar Mk Is of Justin Law and John Young, with the latter just making it across the line first. 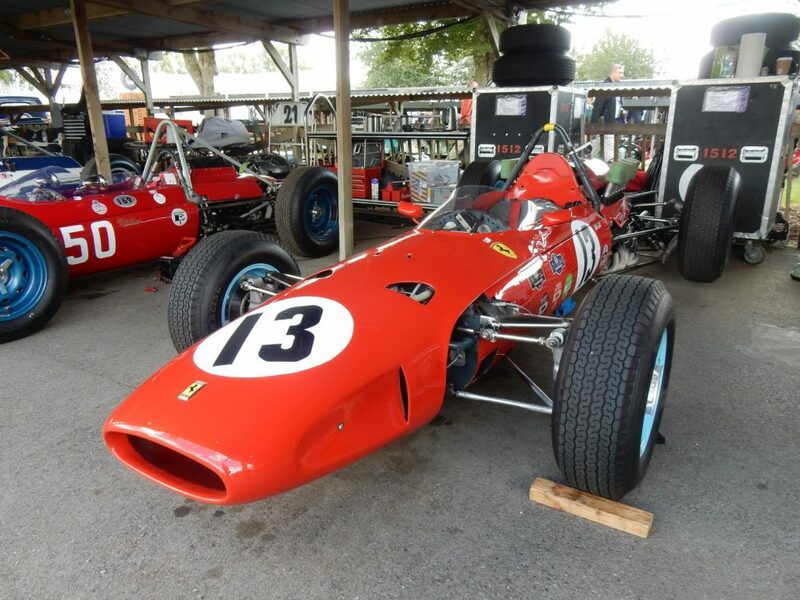 In the Glover Trophy for pre-1965 Grand prix Cars, Joe Colasacco, in a screaming Ferrari 1512 F1 car, came through the field from a 6th place qualifying position to take a fine race win, just 1.3secs ahead of the Lotus 25 of Andy Middlehurst, a previous winner of this race. The TT Celebration race on the Sunday afternoon is one of the meeting’s highlights, and provides great spectacle with thundering Cobras doing battle with the svelte Jaguar E-Types and the rest of the field. 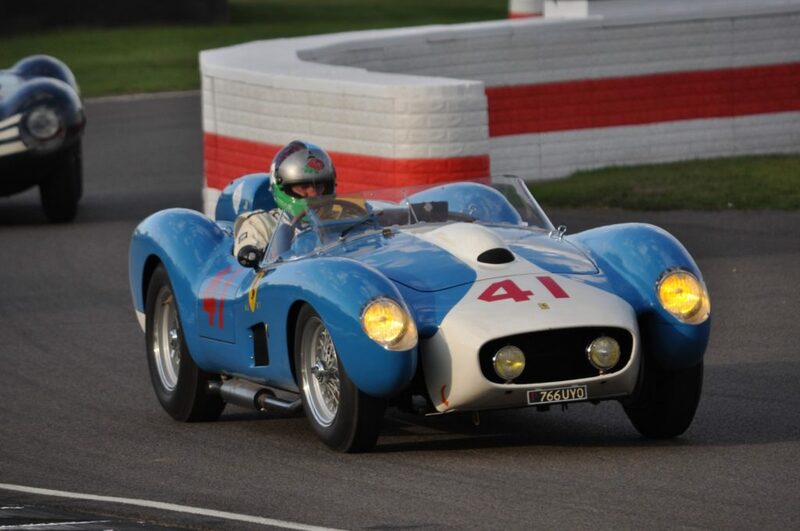 After all the shuffling of the first few laps of the 60mins race, it was the Hart/Hart Cobra that established itself at the head of the field and went on to take a comfortable win, despite a 5secs penalty for clipping the chicane. 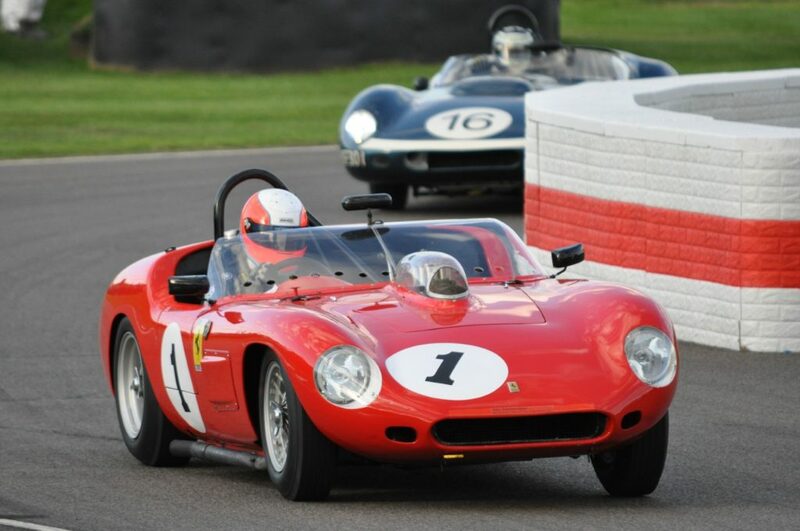 The Minshaw/Keen Jaguar E-Type took the runner-up spot, with the TVR Griffith 400 of Whitaker/Jordan claiming 3rd, to make it three different makes on the podium. Roll on the 21st Birthday!